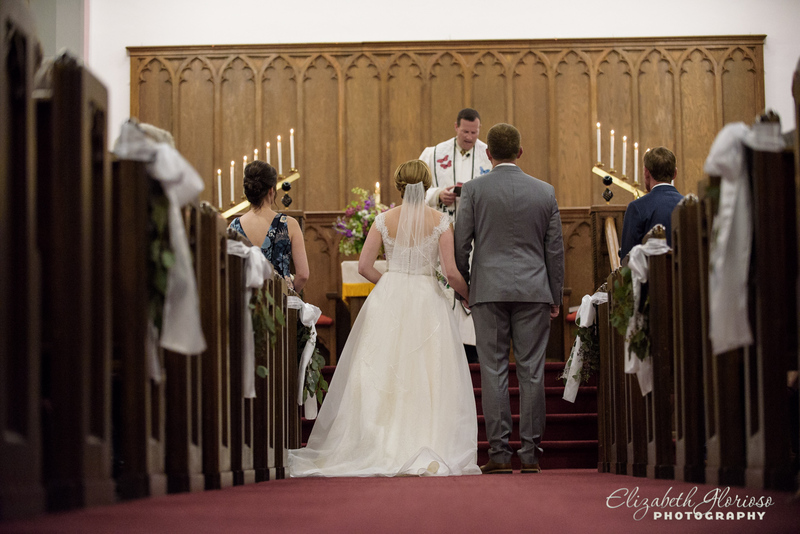 Small hometown weddings are some of my favorites. 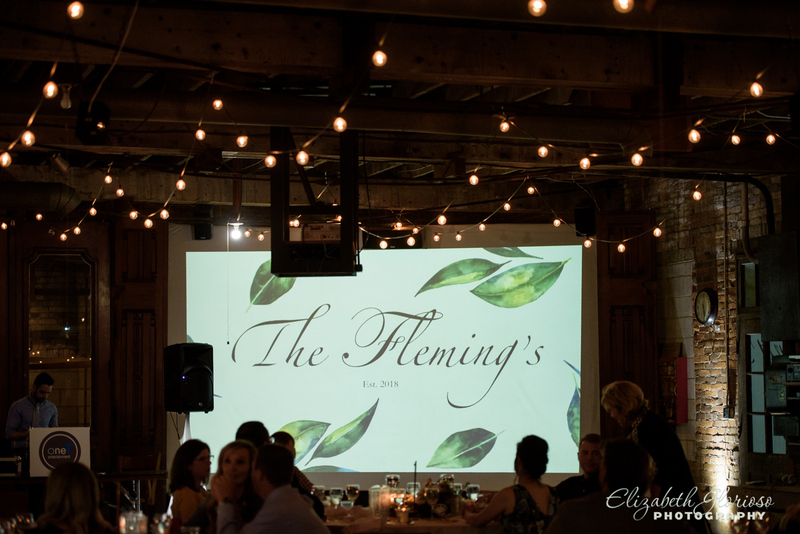 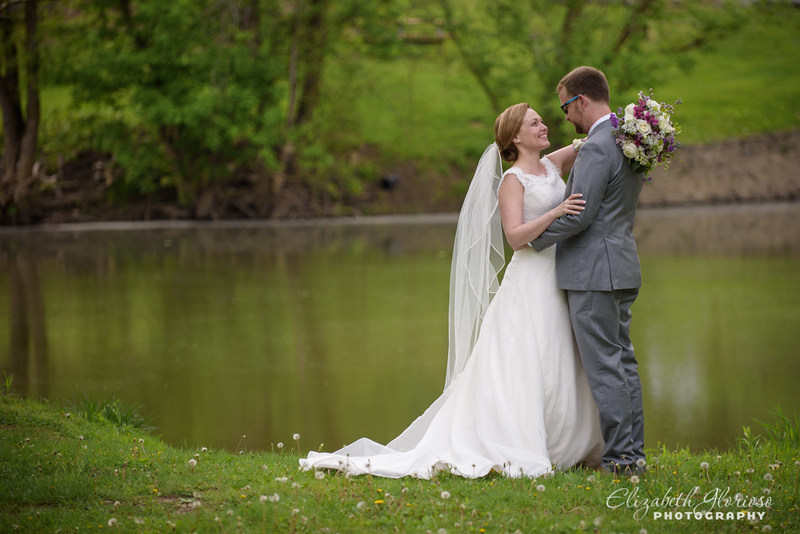 I love when couples pick a location that has meaning for them for their big day! 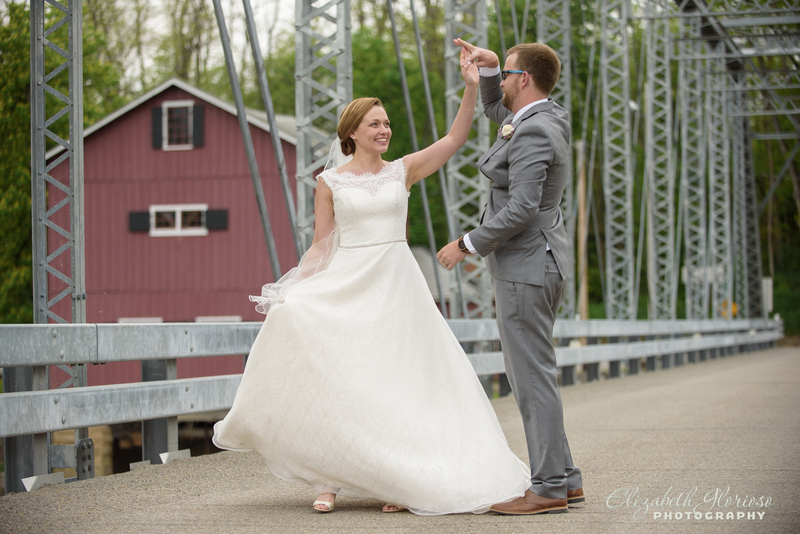 When I met with Joey and Jennifer, they spoke excitedly about their wedding plans in Upper Sandusky. 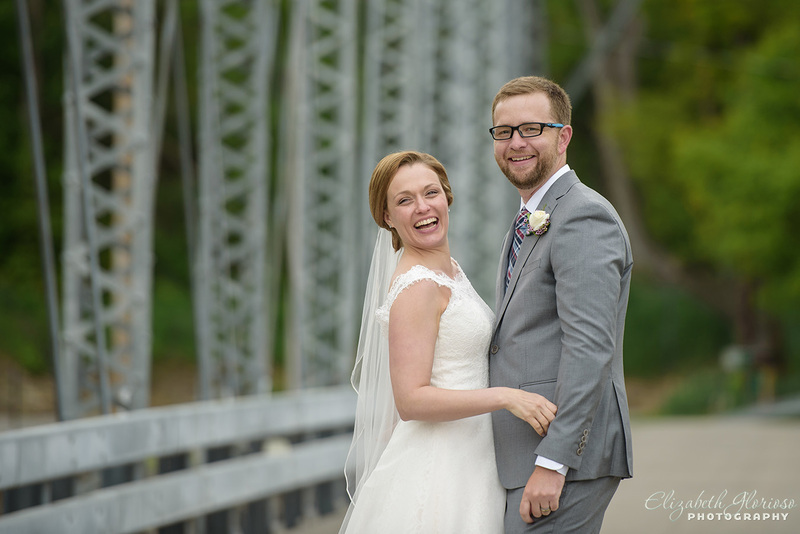 Being a photographer from Cleveland, I didn’t know much about Jennifer’s hometown. 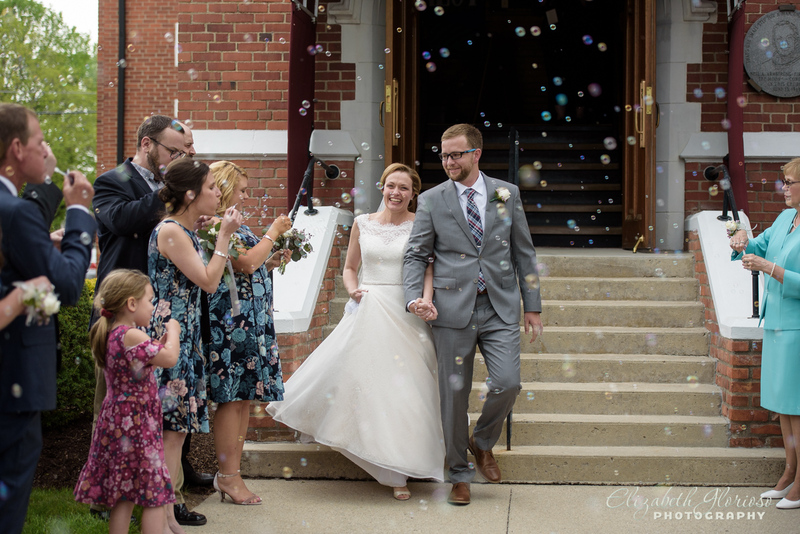 Upper Sandusky is small town with a lot of character. 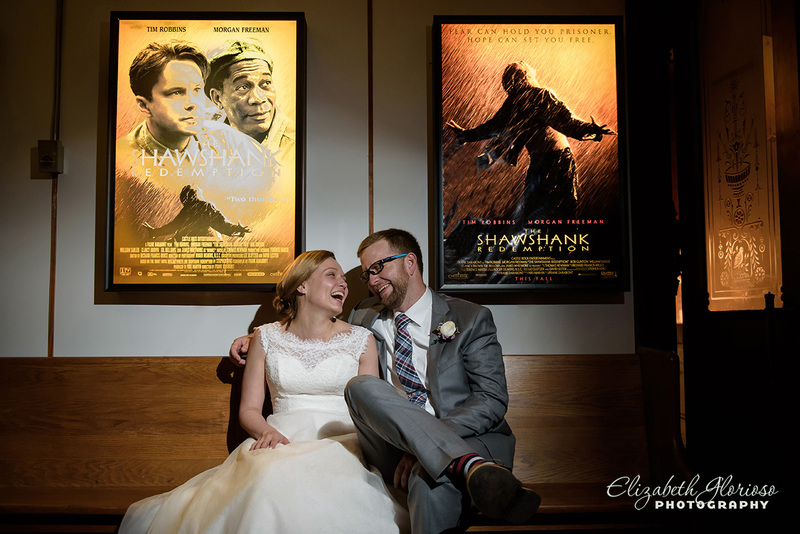 It was one of several film locations for the movie, The Shawshank Redemption. 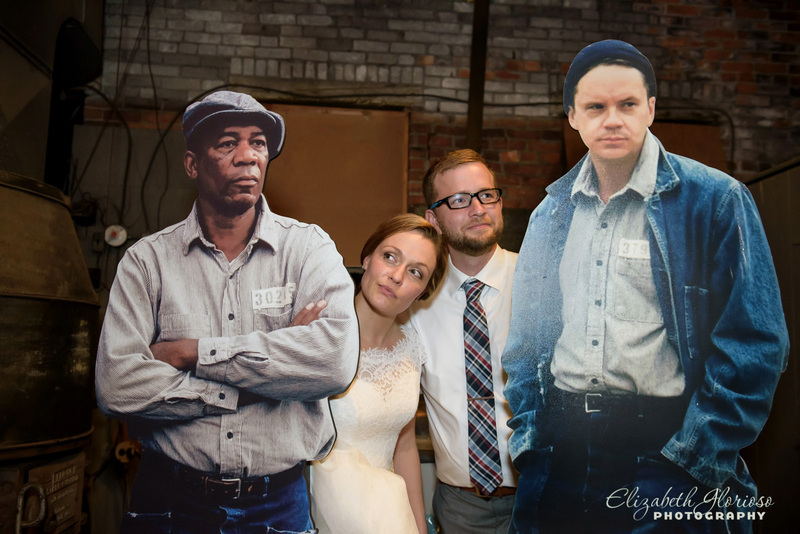 When they revealed that the Shawshank Woodshop was the location for the reception, I knew this wedding would be a blast! 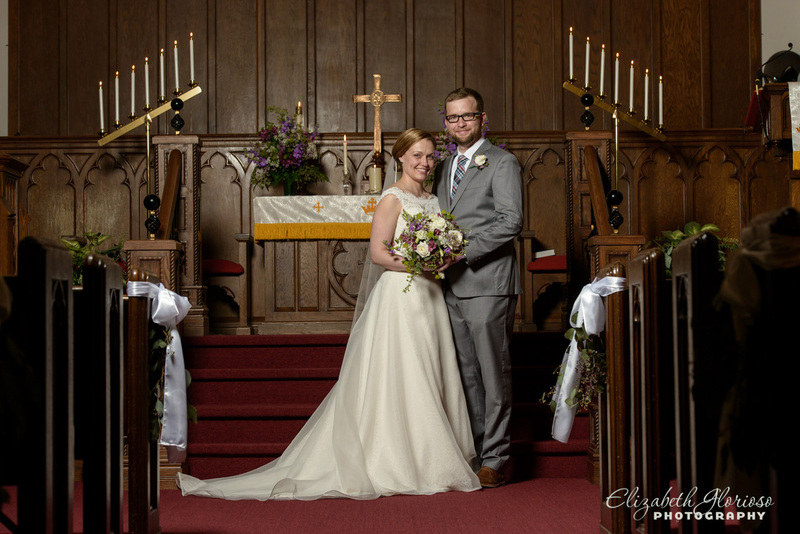 Getting married at Jennifer’s childhood church, we started the day at Trinity United Church of Christ. 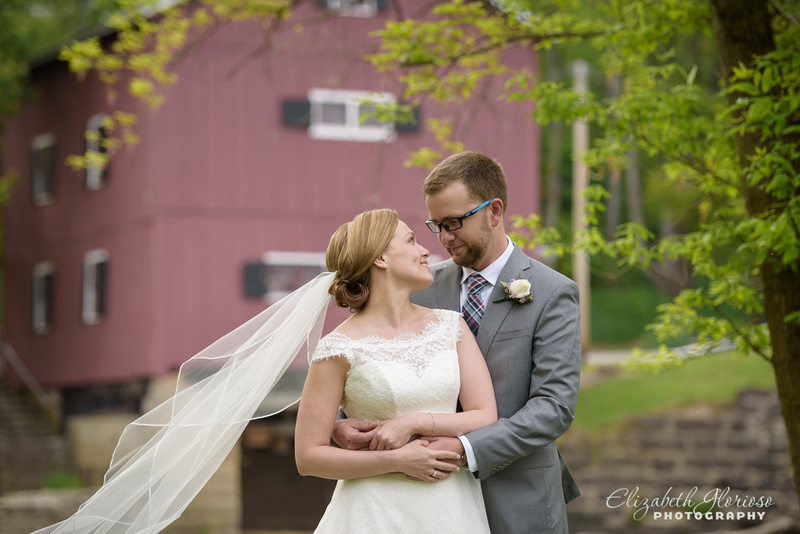 Jennifer and Joey both choose to get ready there with family and close friends. 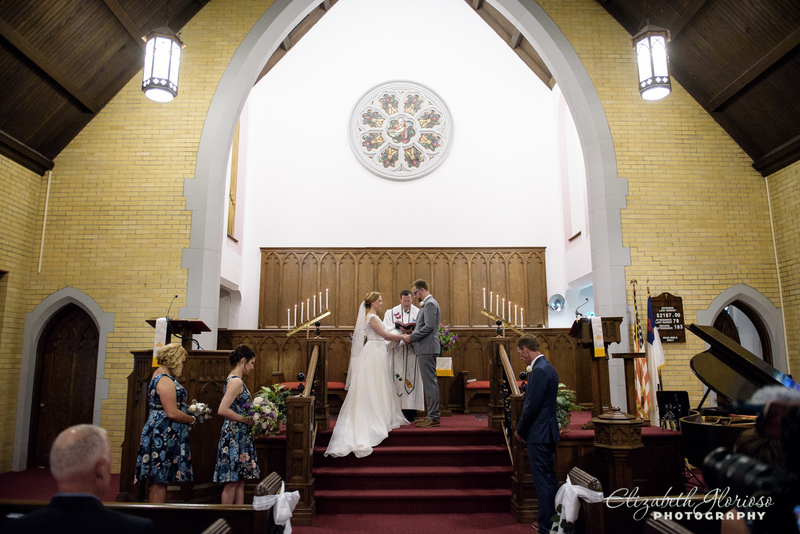 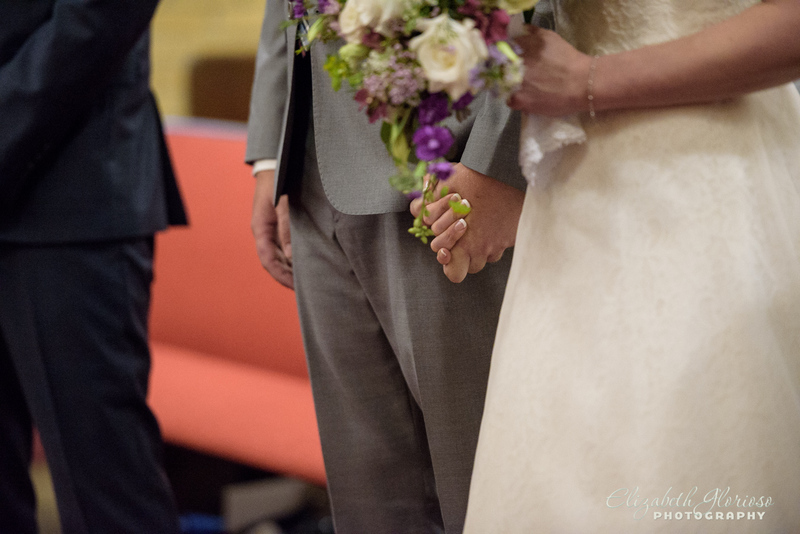 The church was intimate and the perfect size for the ceremony. 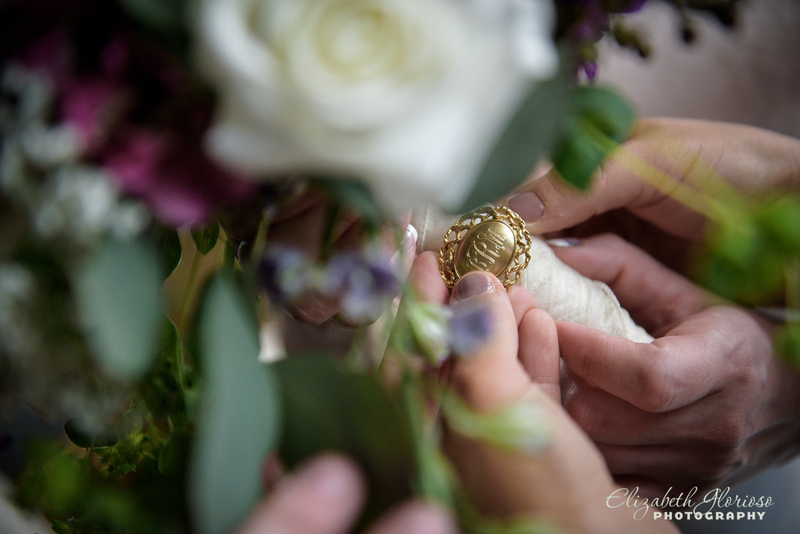 The brooch with her grandmother’s initials was added to the bridal bouquet as the something “old” and something “borrowed”. 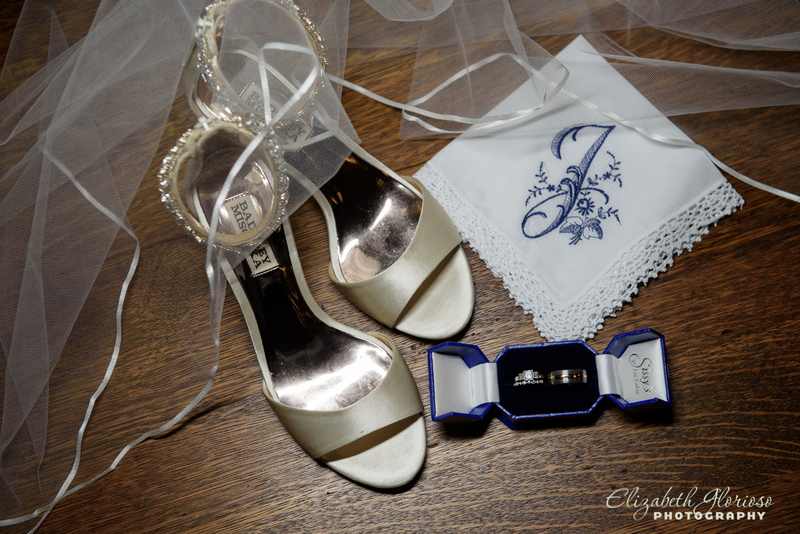 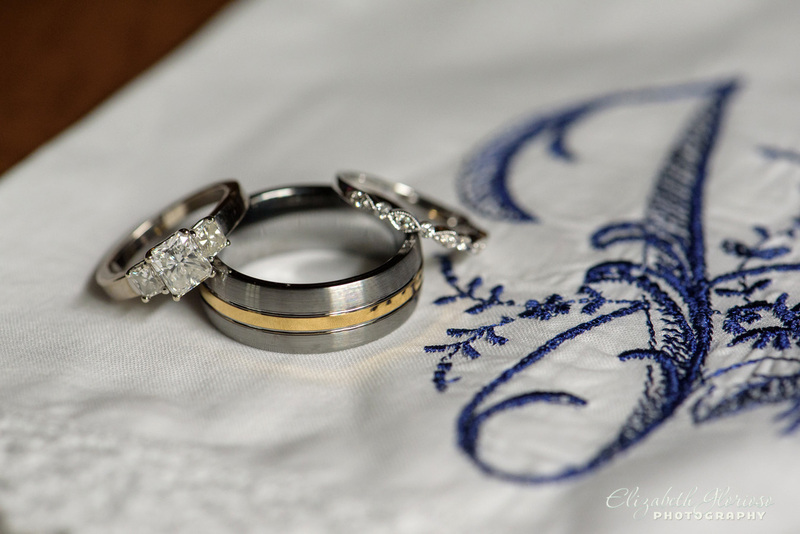 Detail of the wedding rings placed on the embroidered handkerchief. 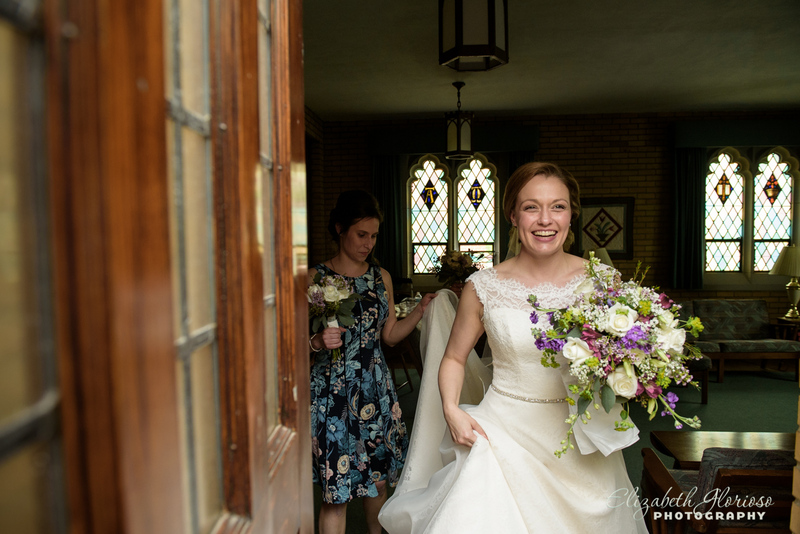 Jennifer carried it with her bouquet. 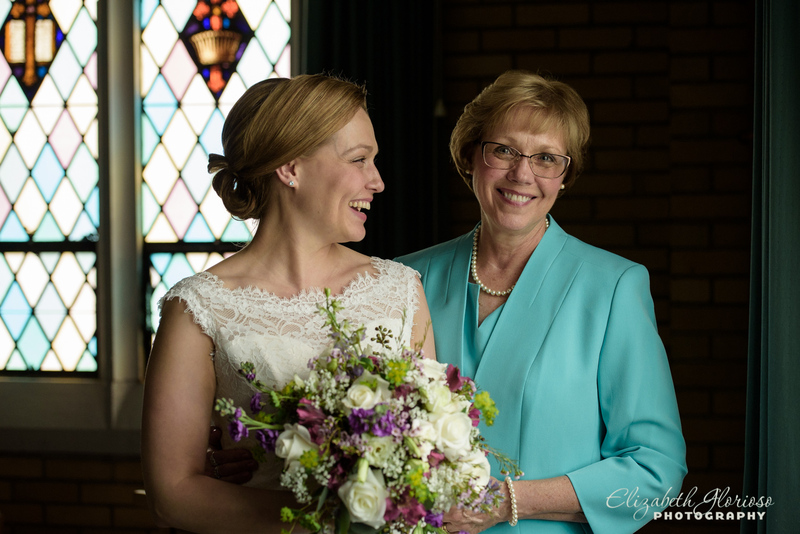 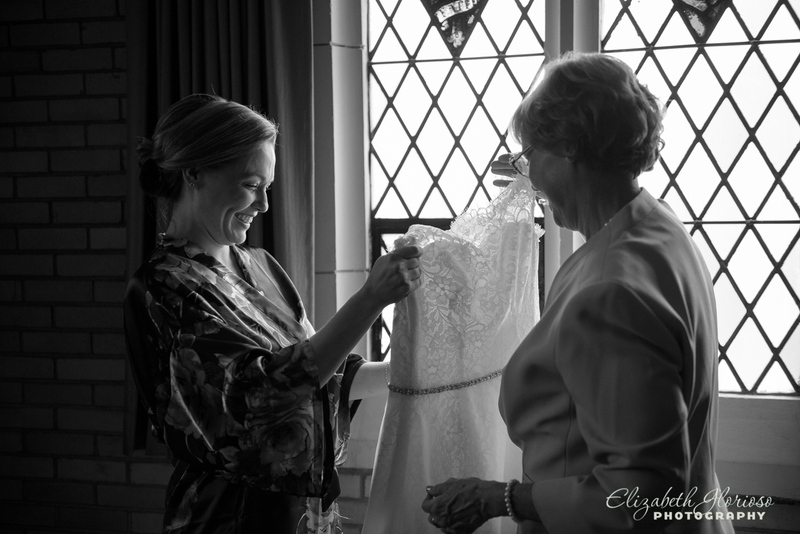 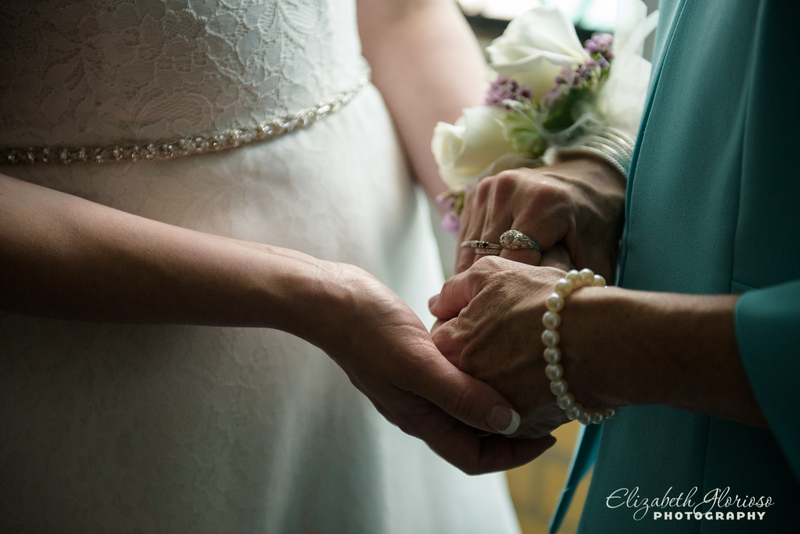 Mother of the bride was so happy to help Jennifer get ready. 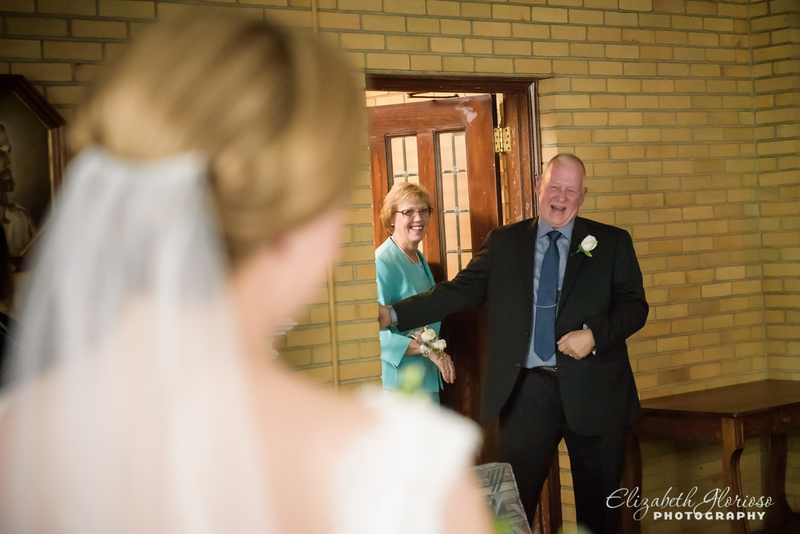 Father of the bride was so excited to see his daughter in her dress for the first time. 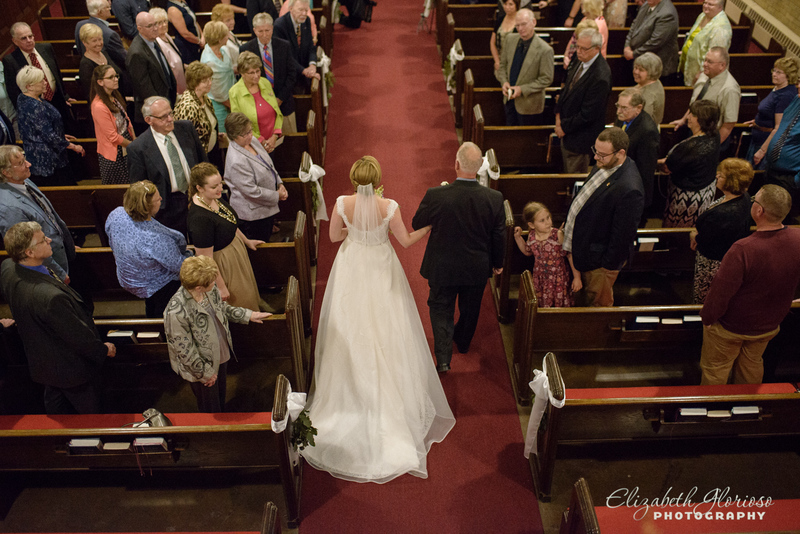 Beautiful view of the back of the bride’s dress from the choir loft. 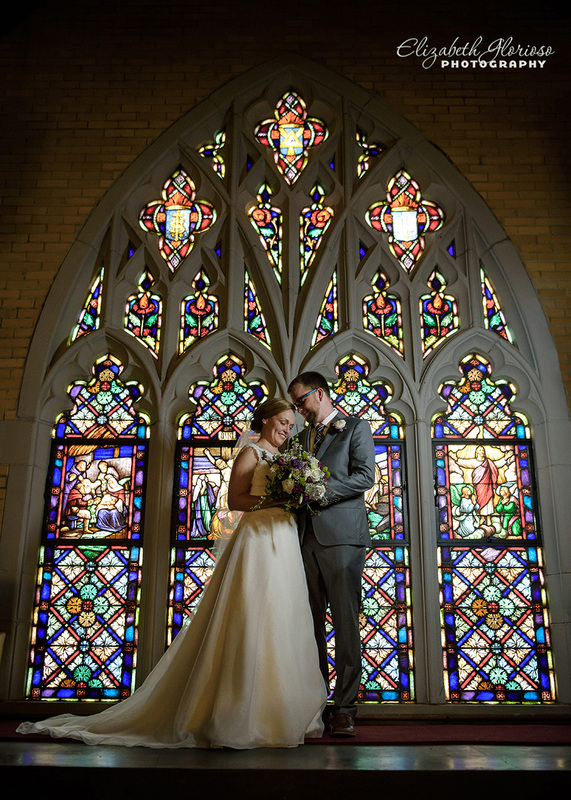 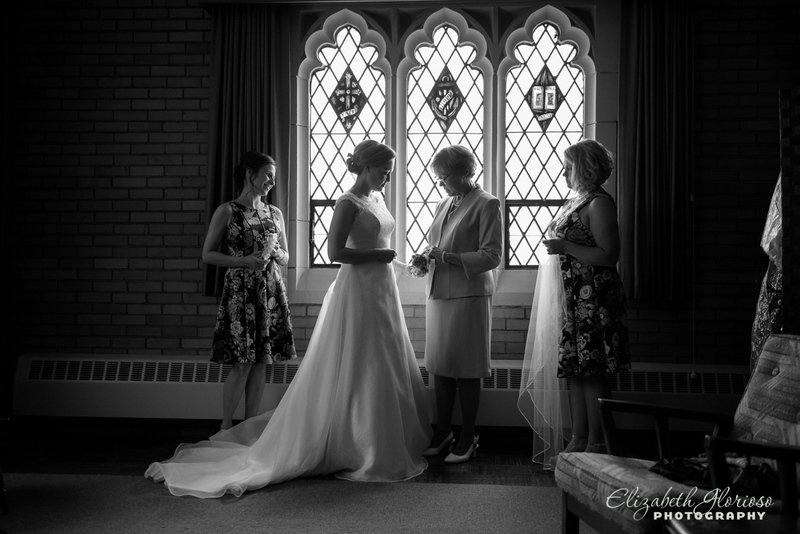 Old Stained glass on the interior of the choir loft of the church was perfect for a wedding portrait. 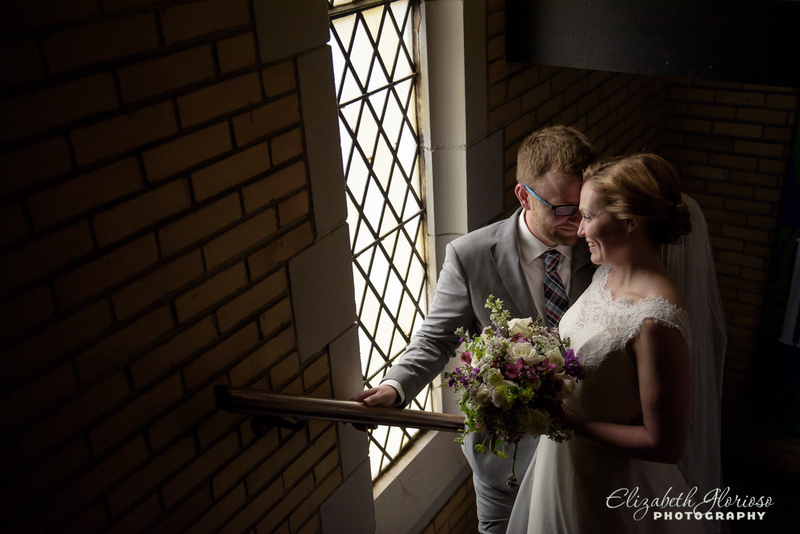 A pocket of nice light in the stairwell from the choir loft created spot for a candid portrait. 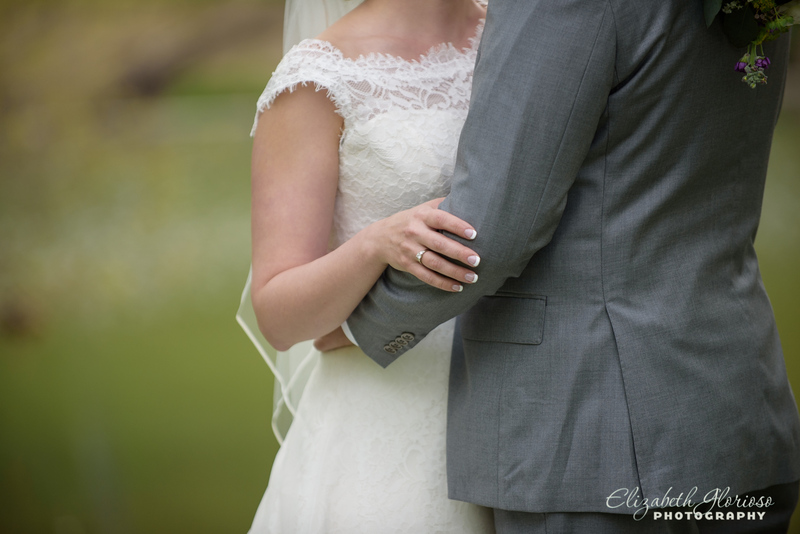 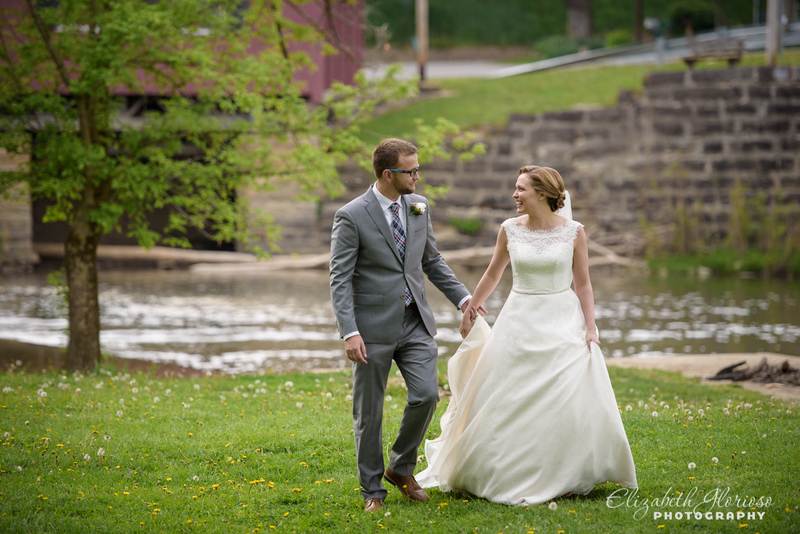 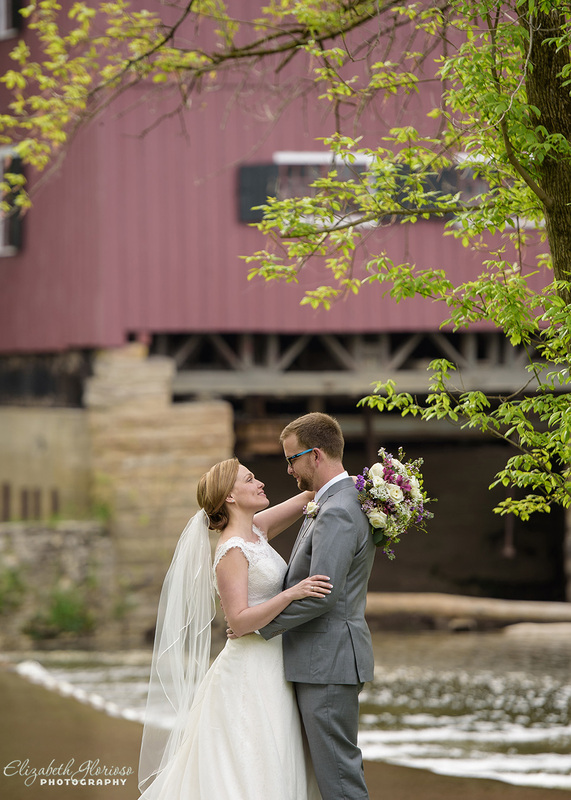 Located next to the Sandusky River, Indian Mill Museum was a gorgeous backdrop for portraits after the ceremony. 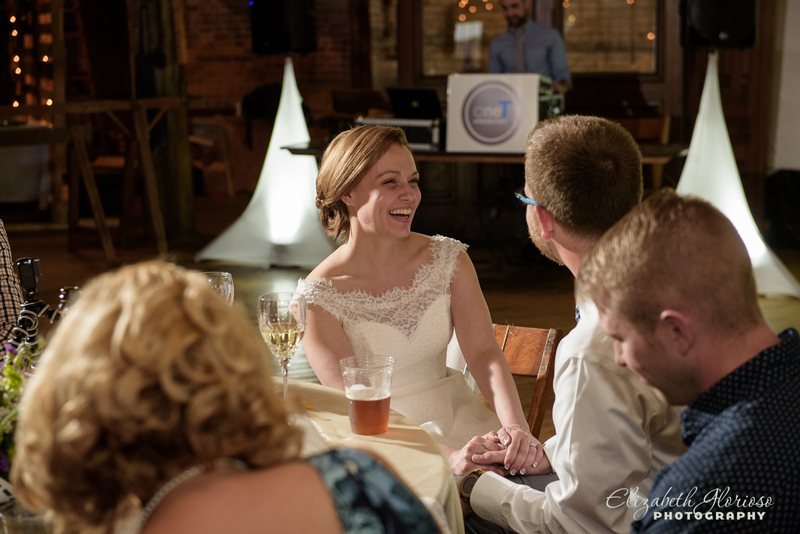 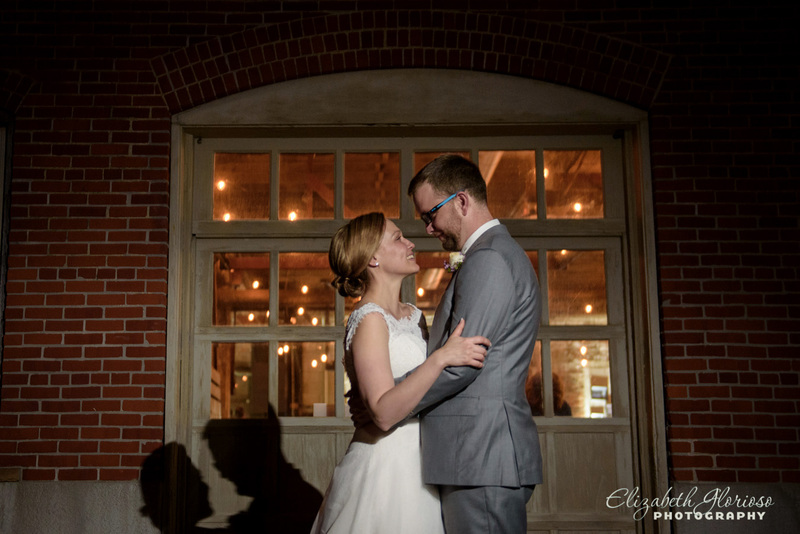 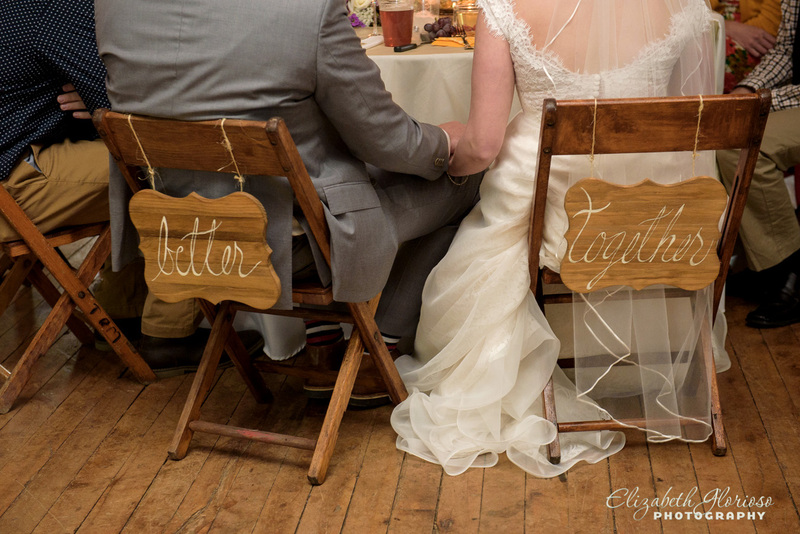 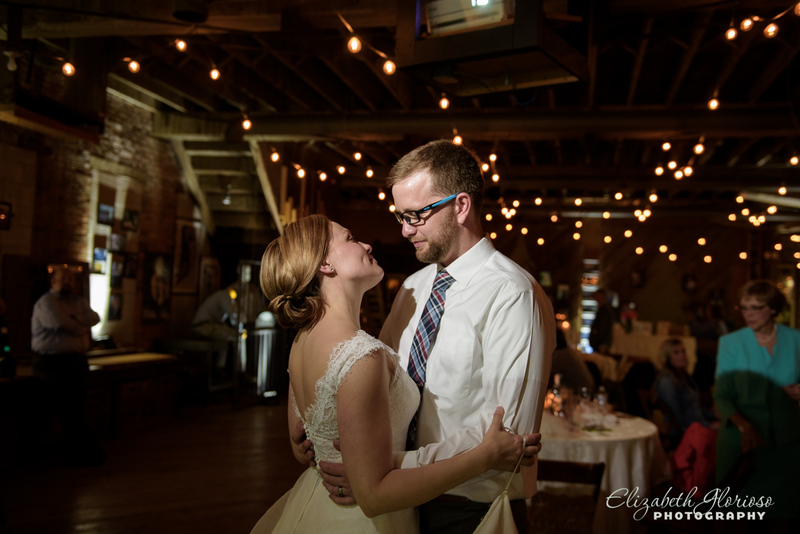 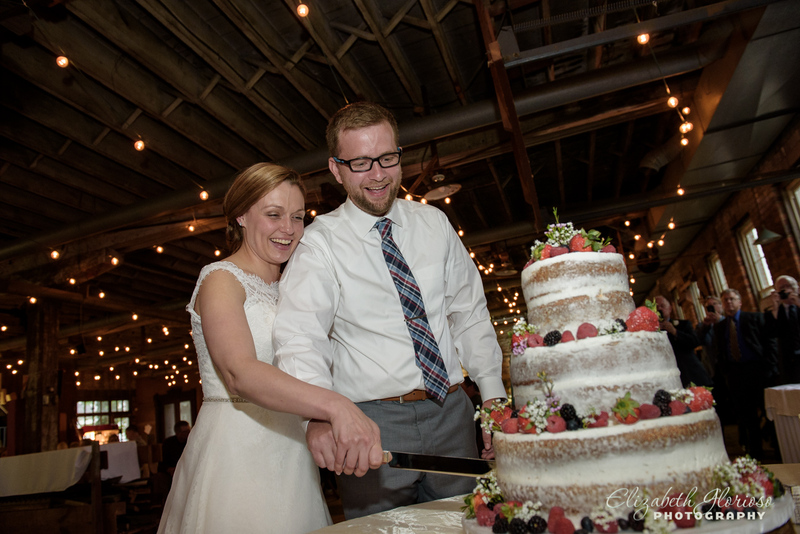 Shawshank Woodshop and Museum was perfect for an intimate wedding reception. 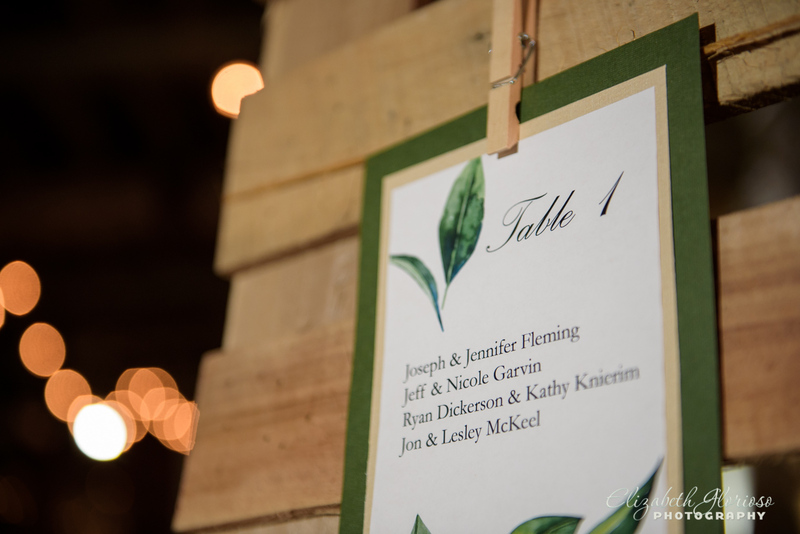 Designed by Jennifer, the botanical details on the seating cards greeted the guests. 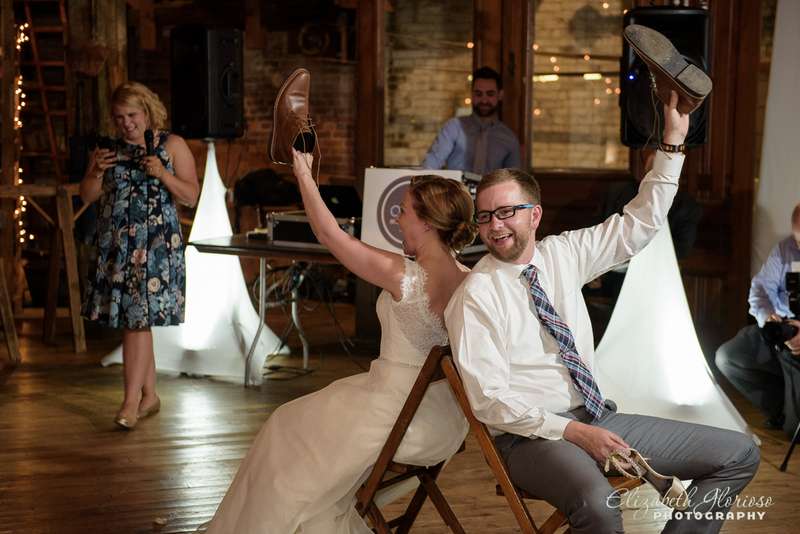 Bride and groom hung out with a few wedding crashers. 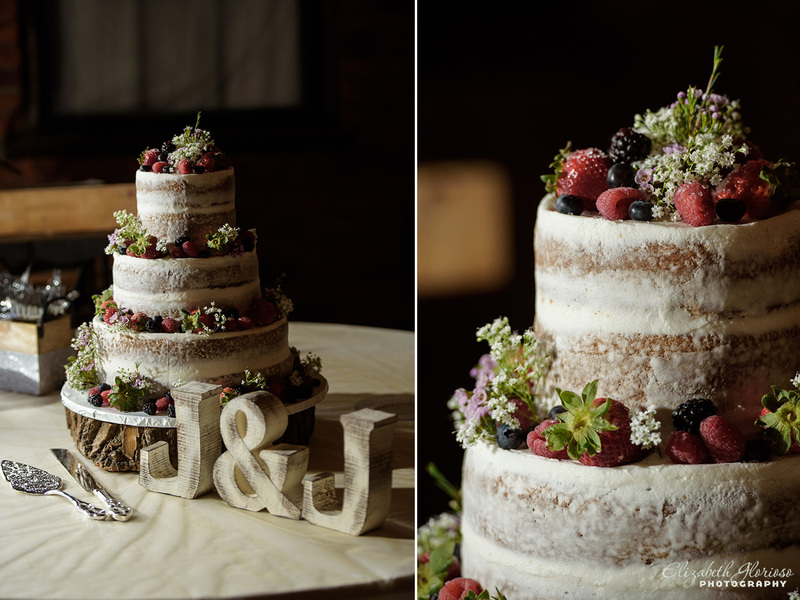 Yummy naked wedding cake with fresh berries. 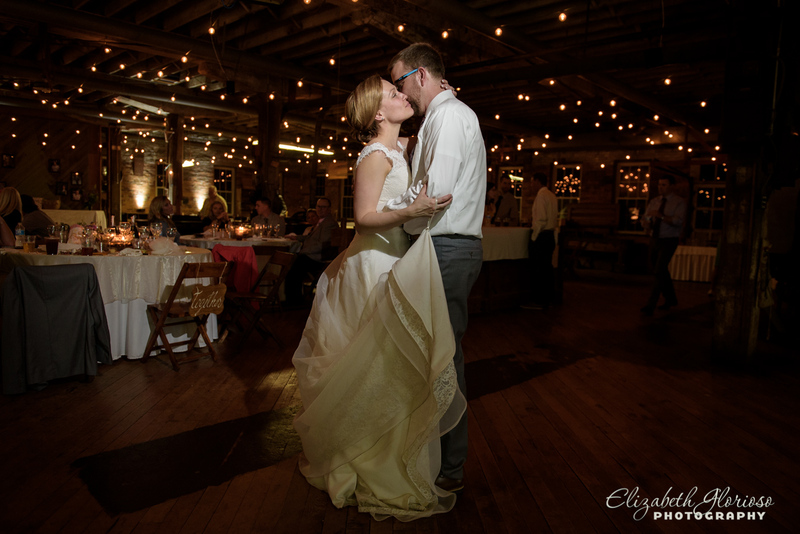 With the glow from the reception inside, Jennifer and Joey enjoyed a moment alone and the last photo of the night. 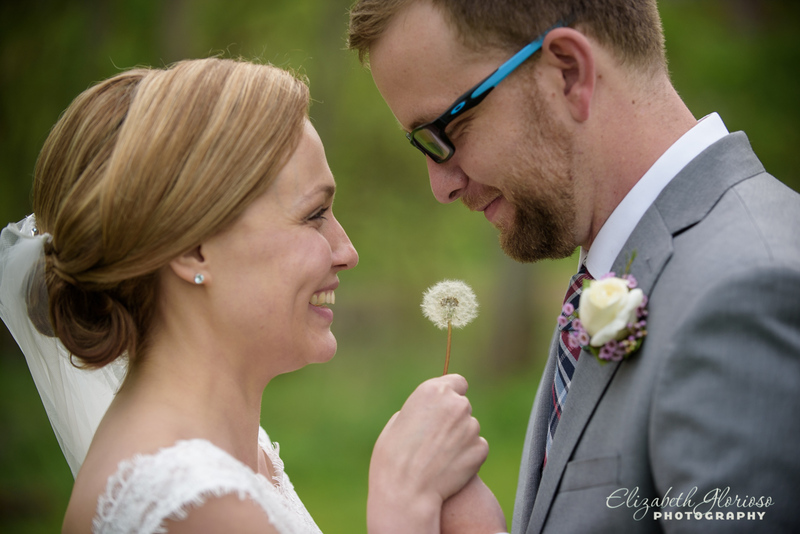 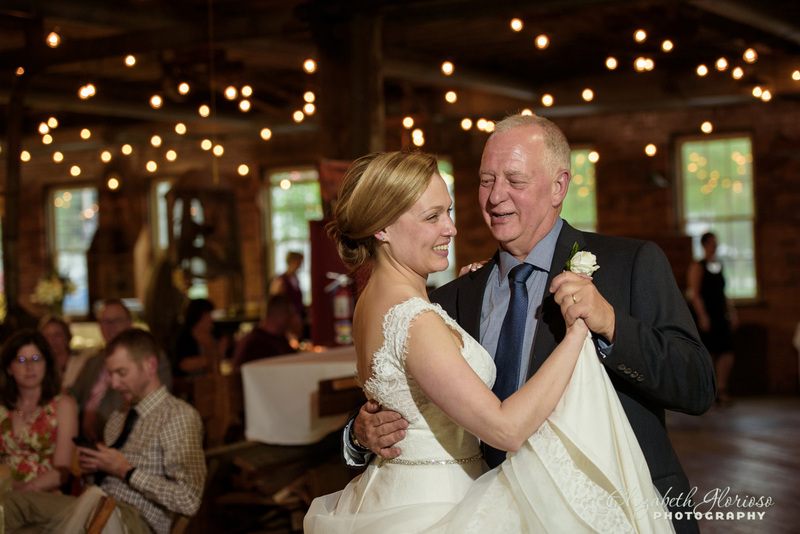 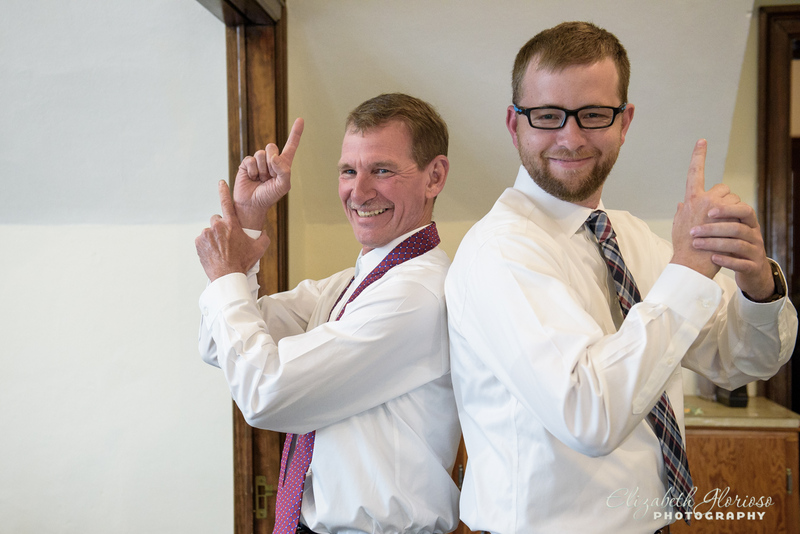 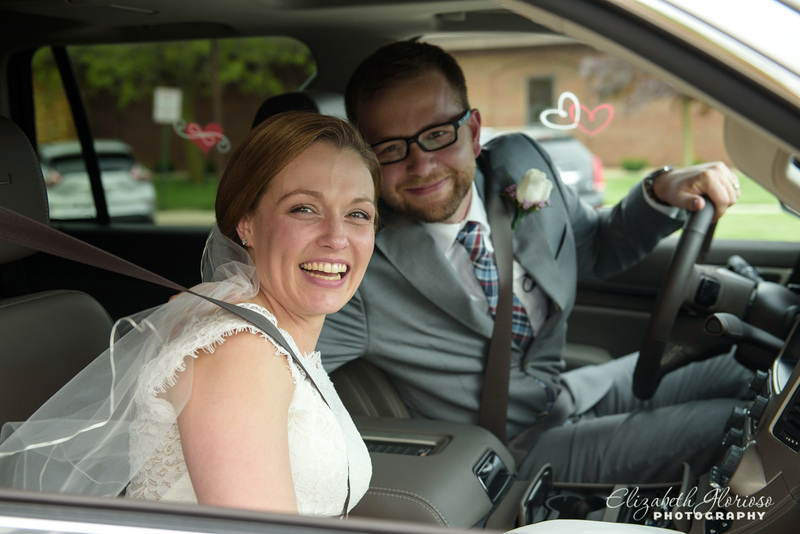 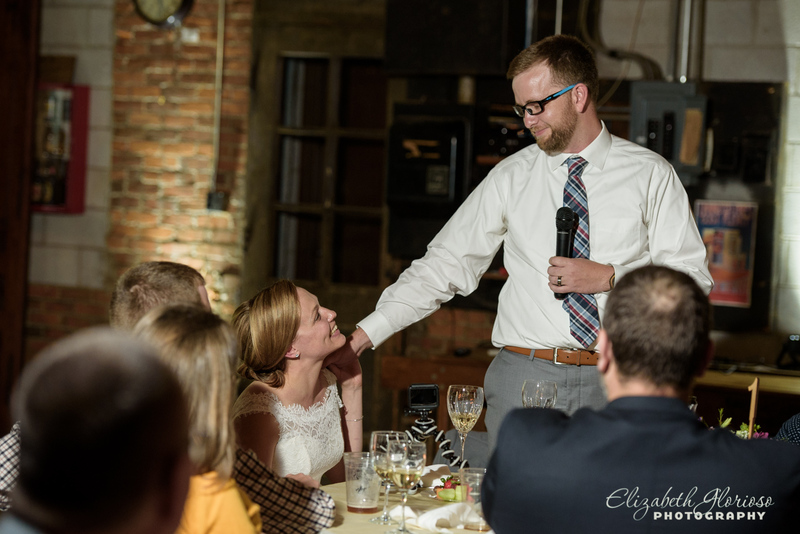 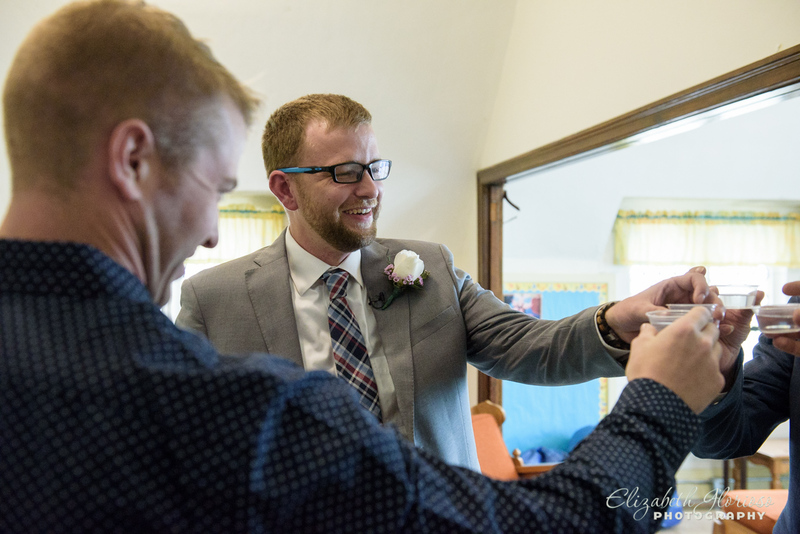 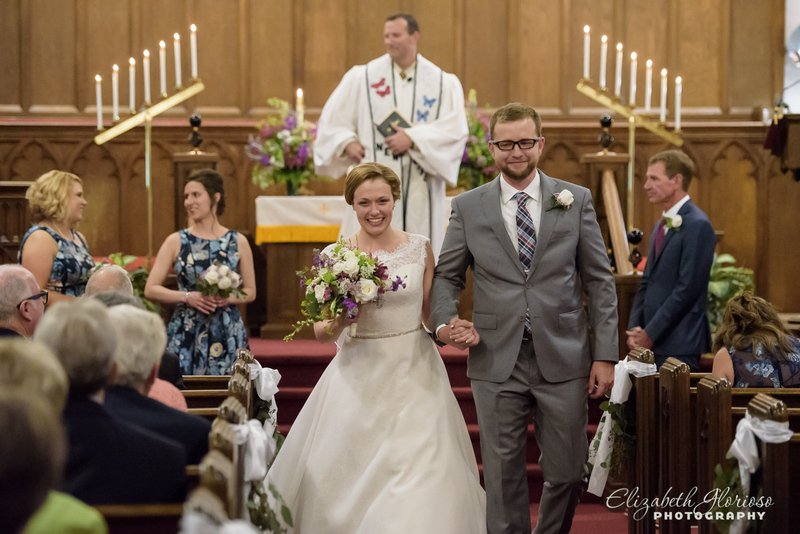 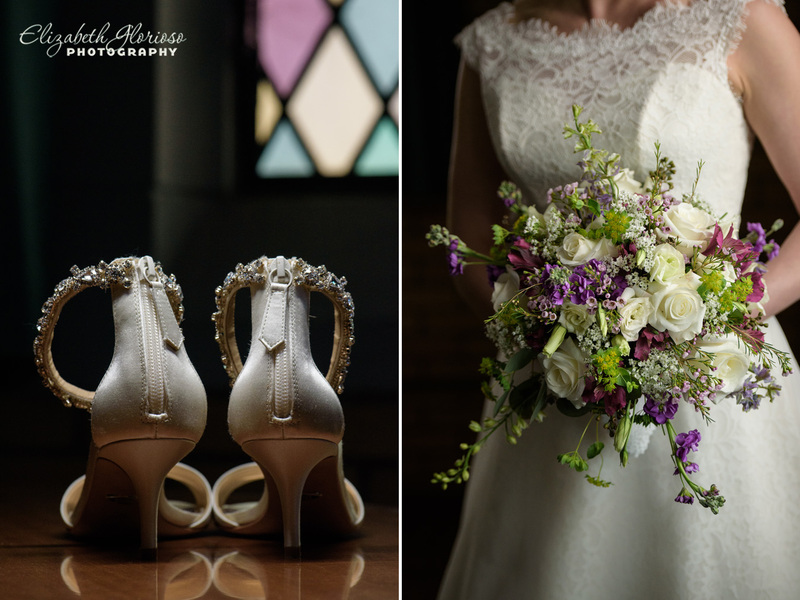 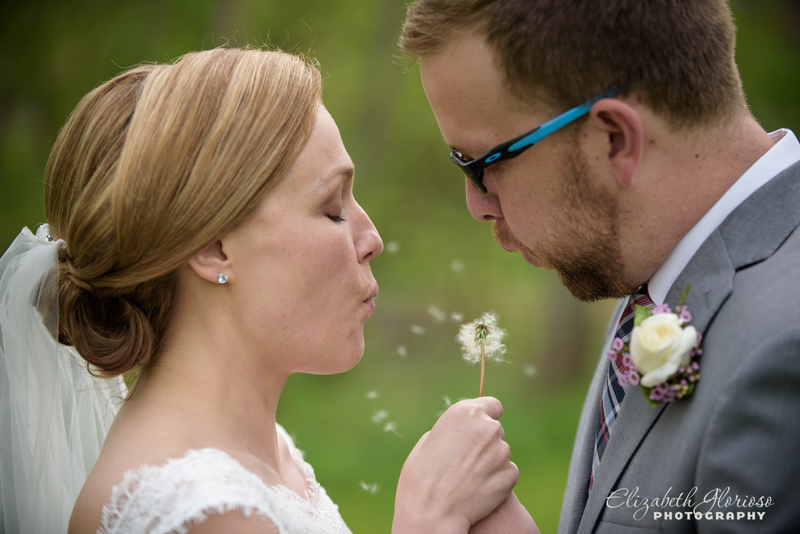 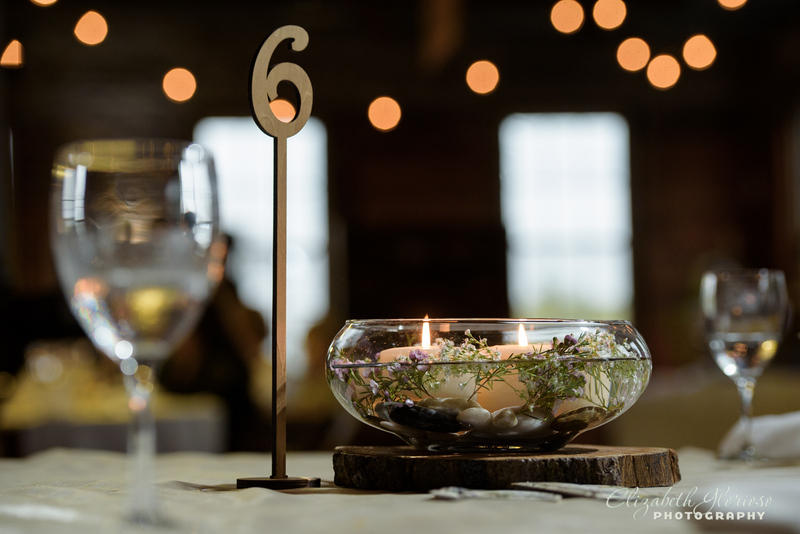 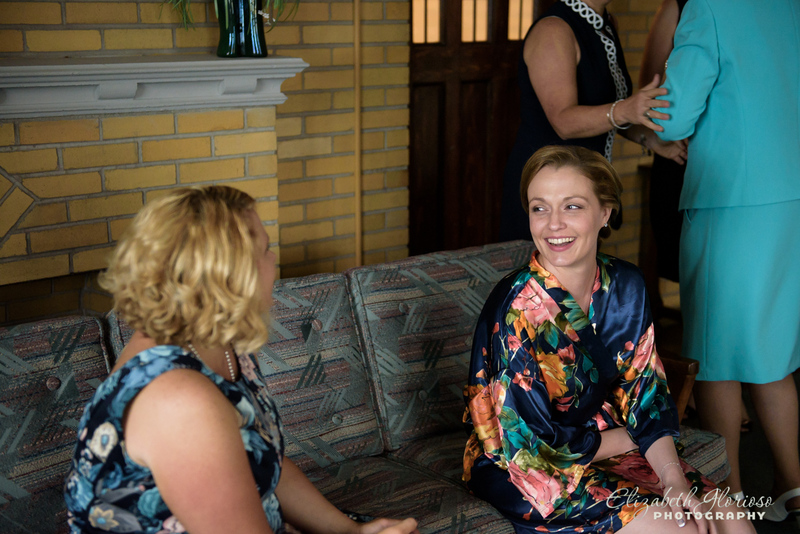 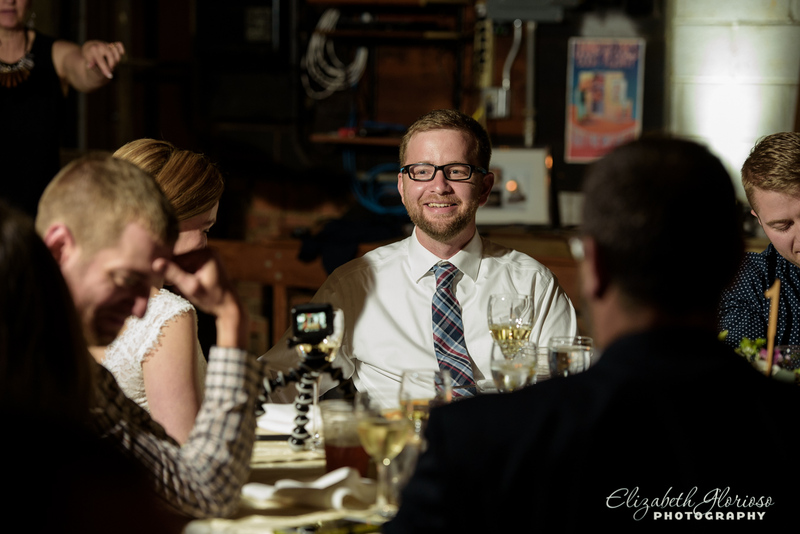 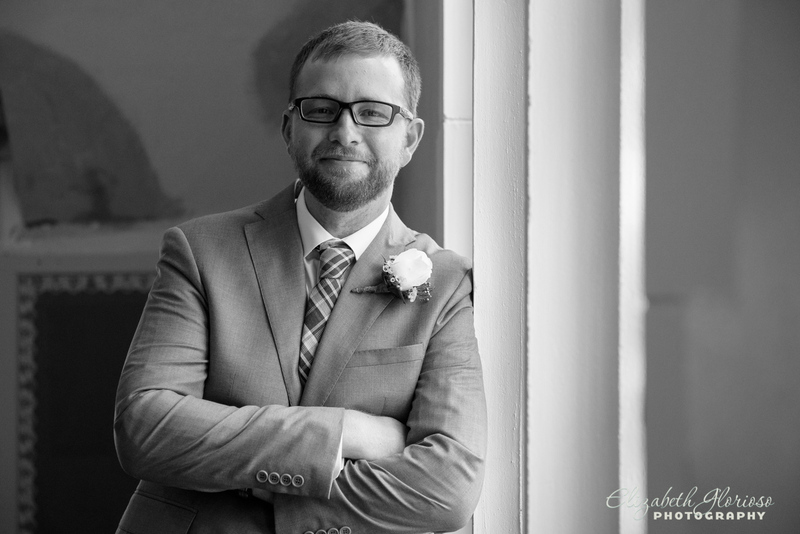 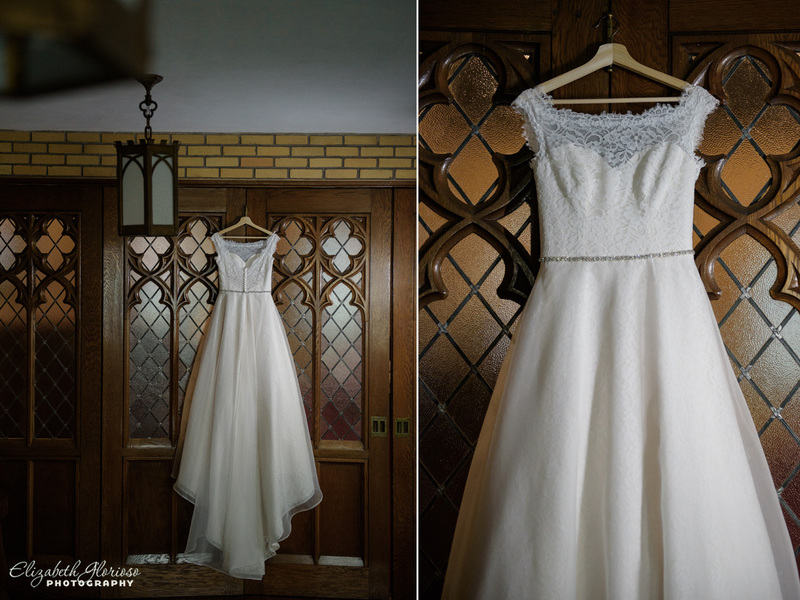 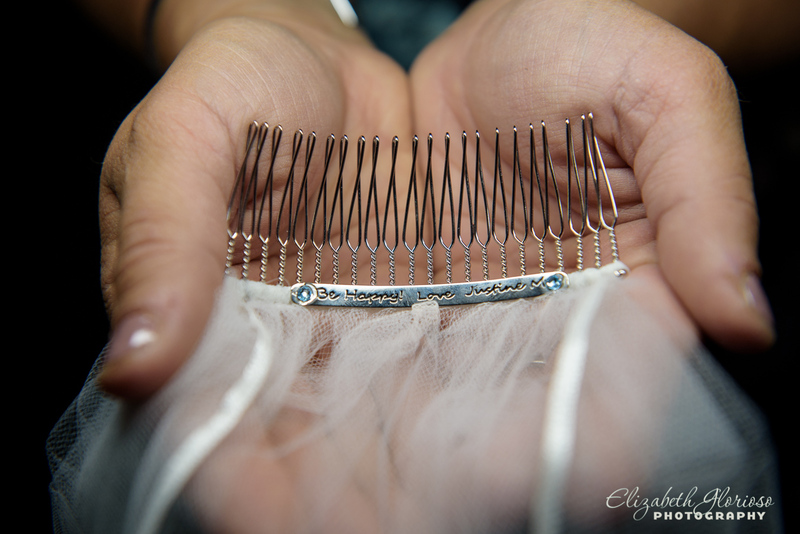 This entry was posted in Cleveland Wedding Photography and tagged Church wedding, cleveland wedding, Cleveland Wedding Photographer, intimate wedding, ohio wedding, Shawshank woodshop, summer wedding, Upper Sandusky wedding on August 10, 2018 by Elizabeth G..